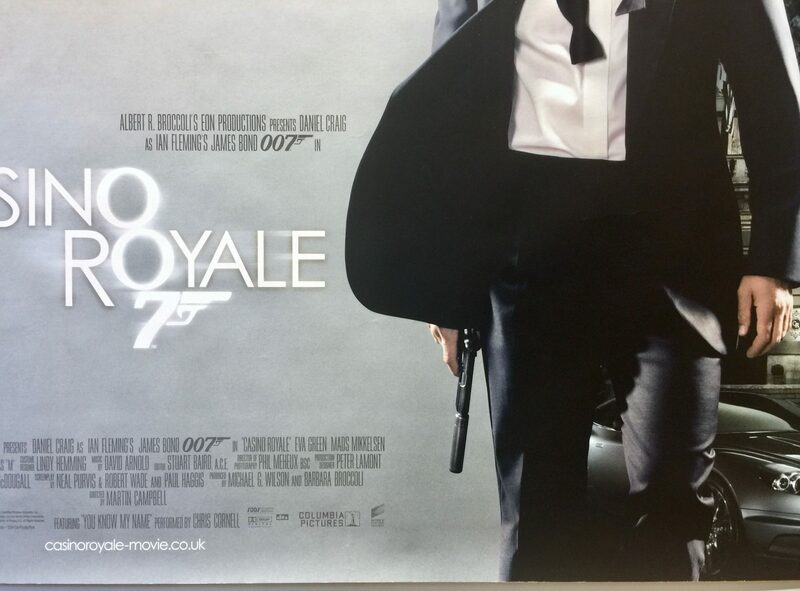 Casino Royale released in 2006, is the 21st film in the James Bond series. 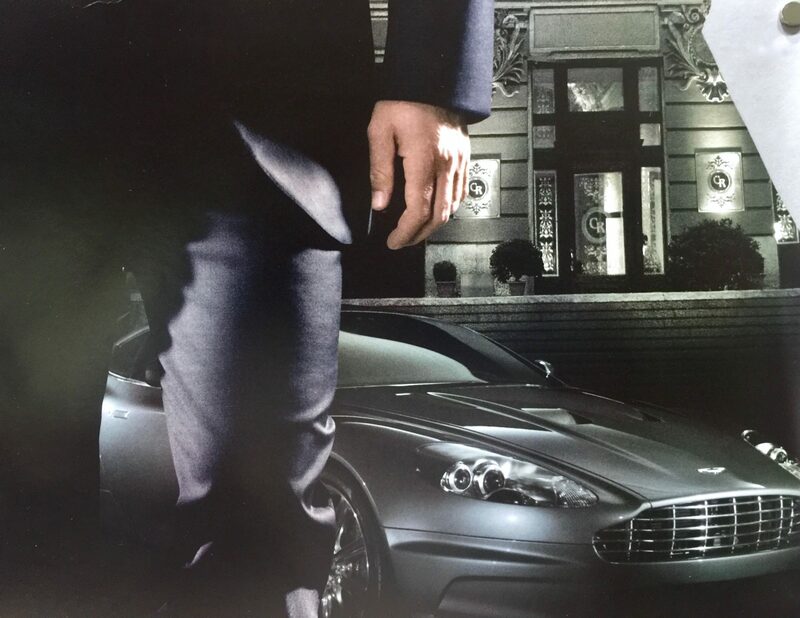 It was directed by Martin Campbell and co-produced by Michael G. Wilson and Barbara Broccoli. The screenplay was co-written by Neal Purvis, Robert Wade and Paul Haggis. 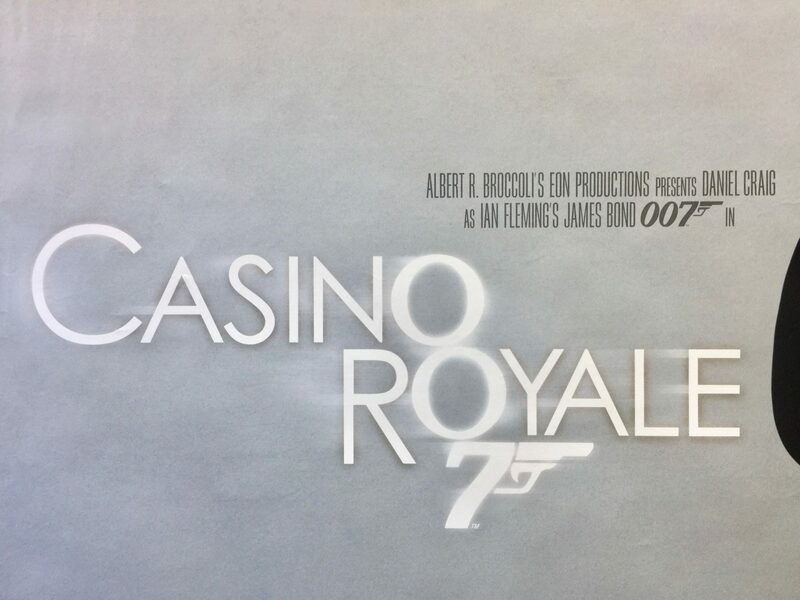 Casino Royale stars Daniel Craig, Eva Green, Mads Mikkelsen, Giancarlo Giannini, Jeffrey Wright, Judi Dench, Caterina Murino, Ivana Miličević and Simon Abkarian. It is the third screen adaptation of Ian Fleming’s 1953 novel of the same name, after the 1954 CBS television adventure series Climax! and the film 1967 starring David Niven. 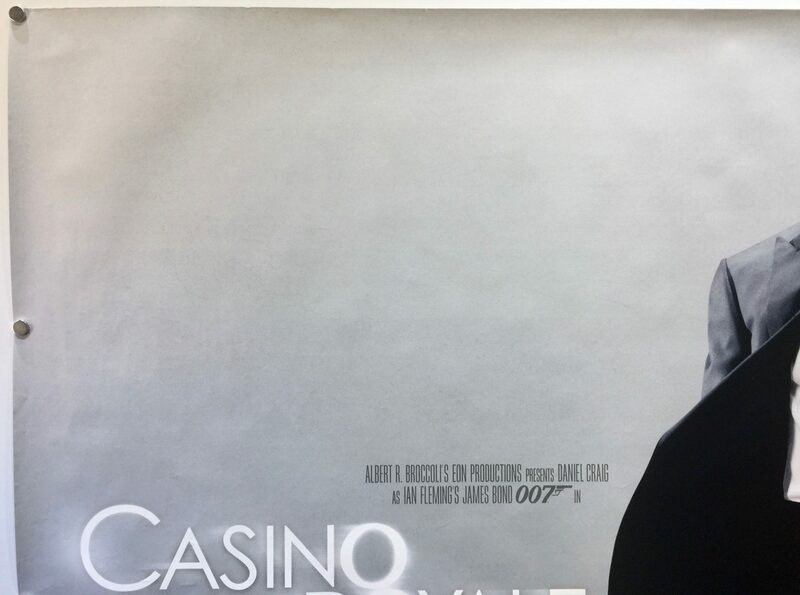 Casino Royale was the first film to cast Daniel Craig as MI6 agent James Bond and provided a reboot to the James Bond series with the producers establishing a new timeline and narrative framework not meant to precede or succeed any of the previous films. 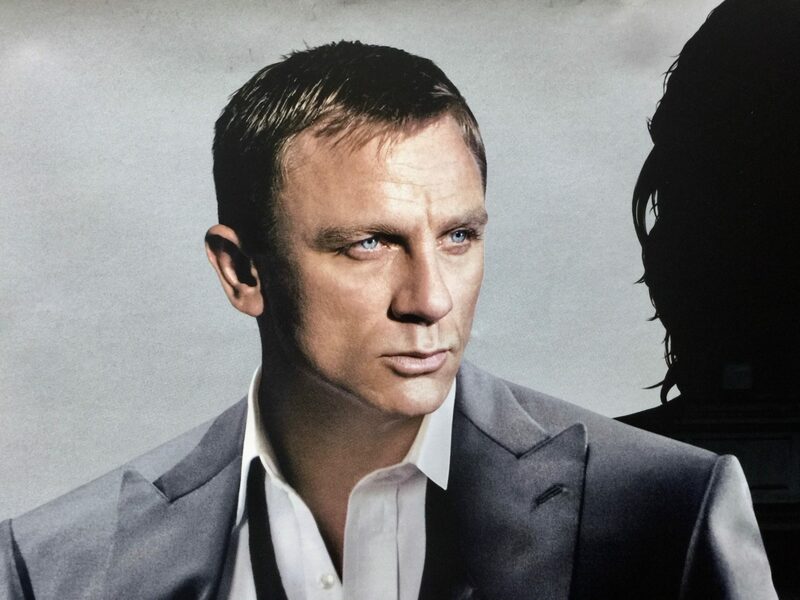 It allowed them to show a less experienced and vulnerable James Bond than had been seen in previous films. 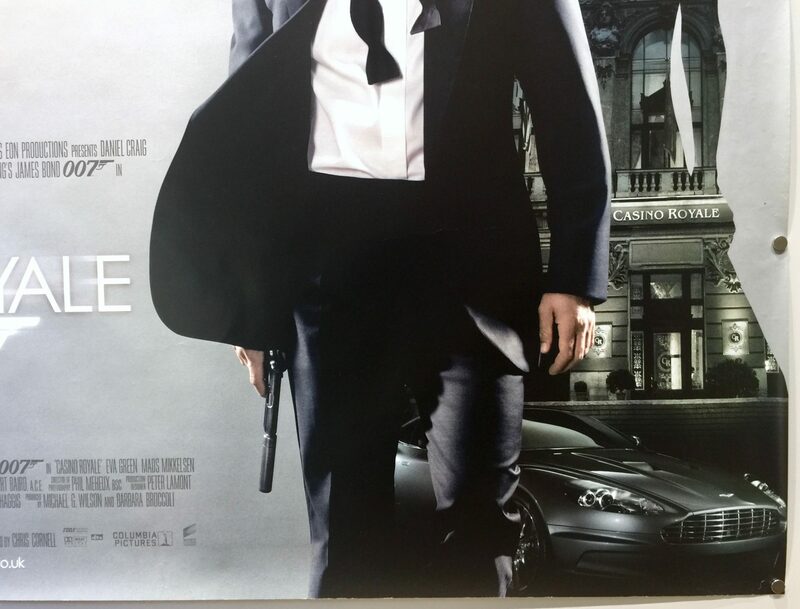 The storyline is set at the beginning of James Bond’s career as 007, just as he is earning his licence to kill. 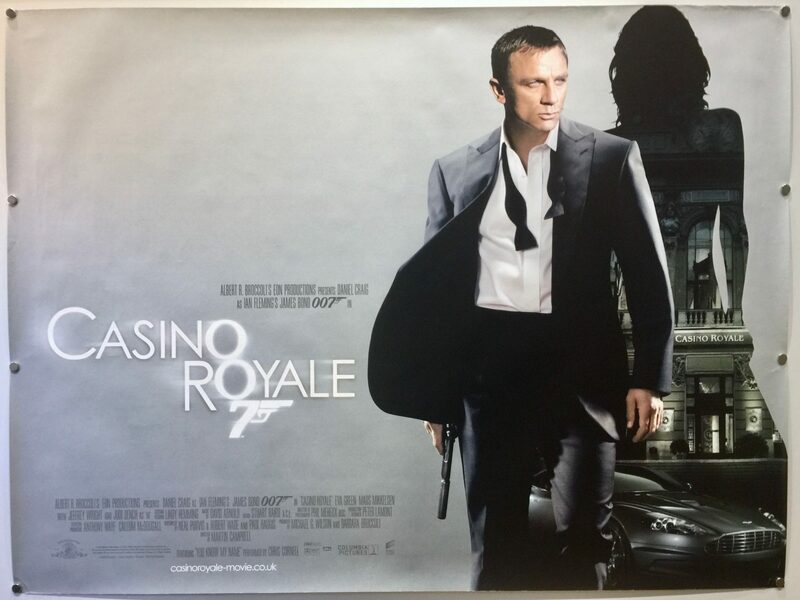 It follows Bond as he becomes involved in an assignment to bankrupt terrorist financier Le Chiffre in a high-stakes poker game, after foiling an attack he arranged on a new aircraft being demonstrated at Miami International Airport; during the course of his assignment, Bond falls in love with Vesper Lynd, a treasury employee assigned to provide the money he needs for the game. 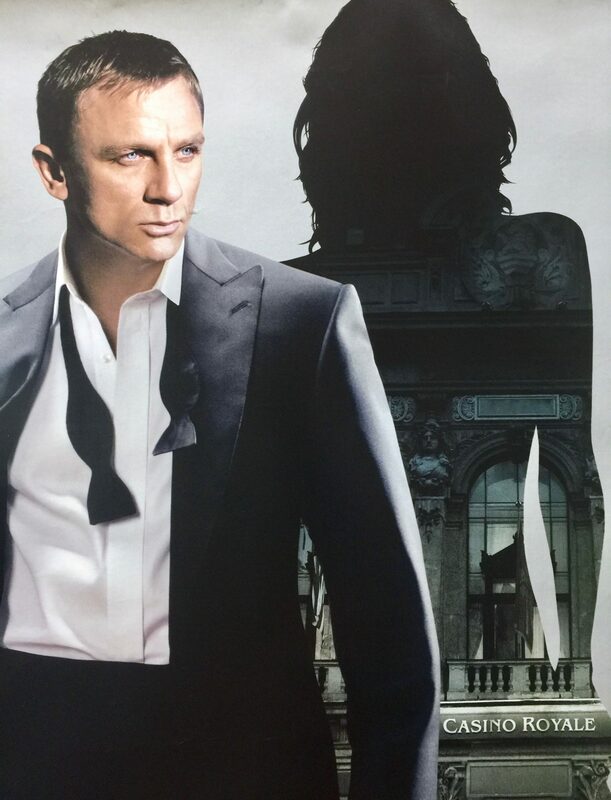 The film is part of a story arc that continues in Quantum of Solace (2008), with explicit references to the characters and events being made in films set after the story, within Skyfall (2012) and Spectre (2015). 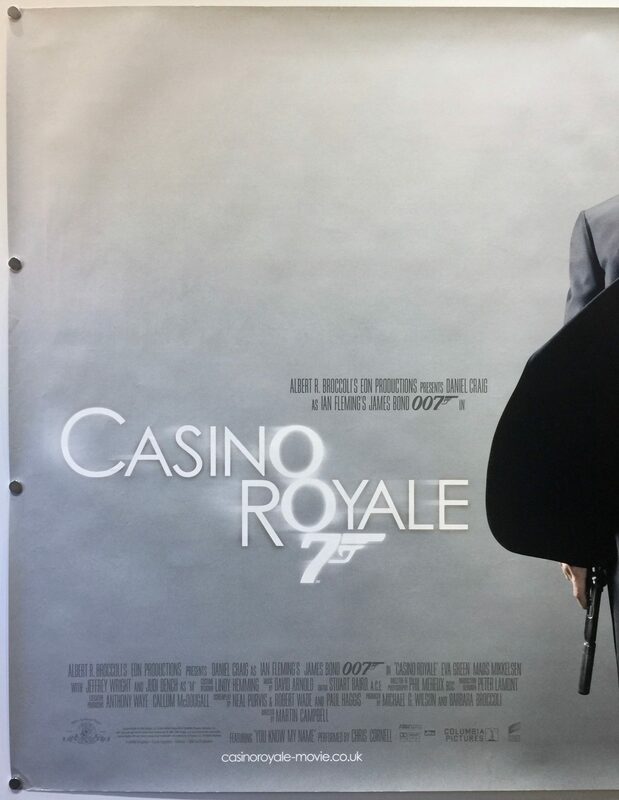 With Casino Royale, the producers didn’t want to rely on CGI effects that had been seen in the more recent James Bond films, most notably Die Another Day, and were keen to accomplish the stunts in Casino Royale “the old fashioned way”. 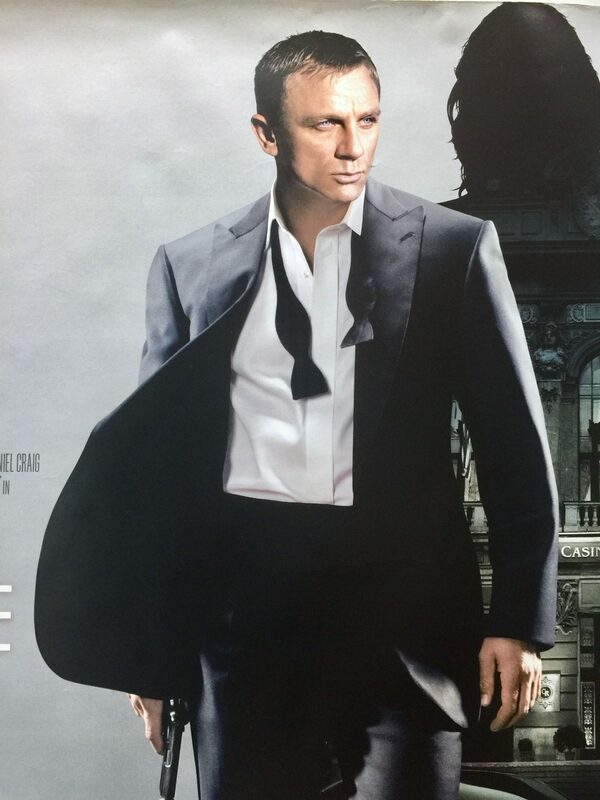 Daniel Craig said of the stunts, “It’s the wow factor. You want the audience to be short of breath. The audience gets it when they’re for real.” When audiences knew that the stunts were real and that people had put their lives in danger, it added a frisson that computer-generated imagery (CGI) could not achieve, he added. 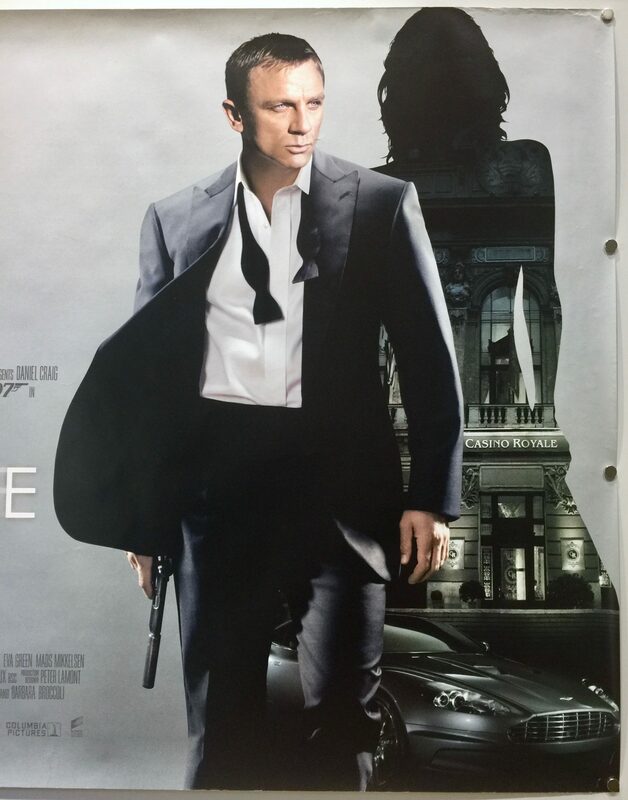 In keeping with this drive for more realism, screenwriters Purvis, Wade and Haggis wanted the script to follow as closely as possible to the original 1953 novel, keeping Fleming’s darker storyline and characterisation of Bond. Principle photography was primarily completed at Barrandov Studios in Prague, where choreography and stunt co-ordination practice was performed. 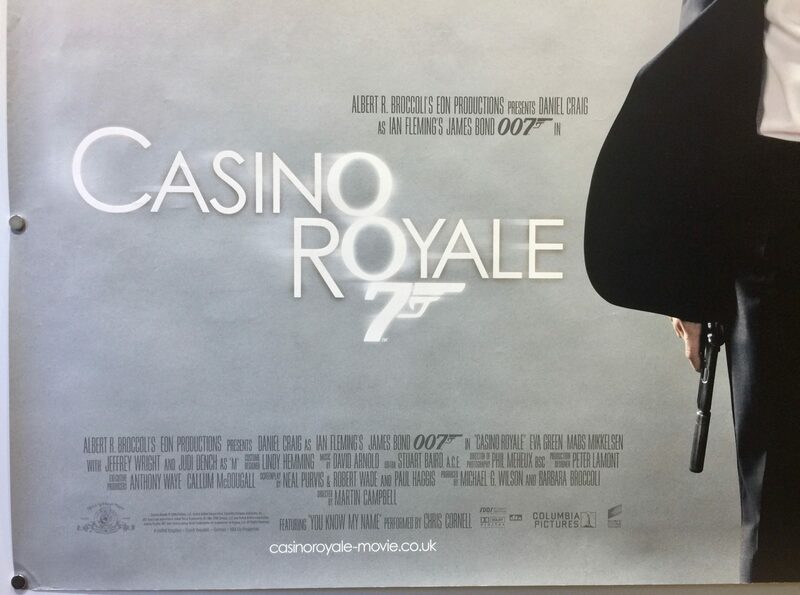 Additional location filming took place at Pinewood Studios, where the film used several stages, the paddock tank and the 007 Stage and Dunsfold Aerodrome in Surrey, the cricket pavilion at Eton College (although that scene was cut from the completed movie) and the Millbrook Vehicle Proving Ground in Bedfordshire. Additional scenes were filmed in New Providence on Paradise Island, Bahamas. 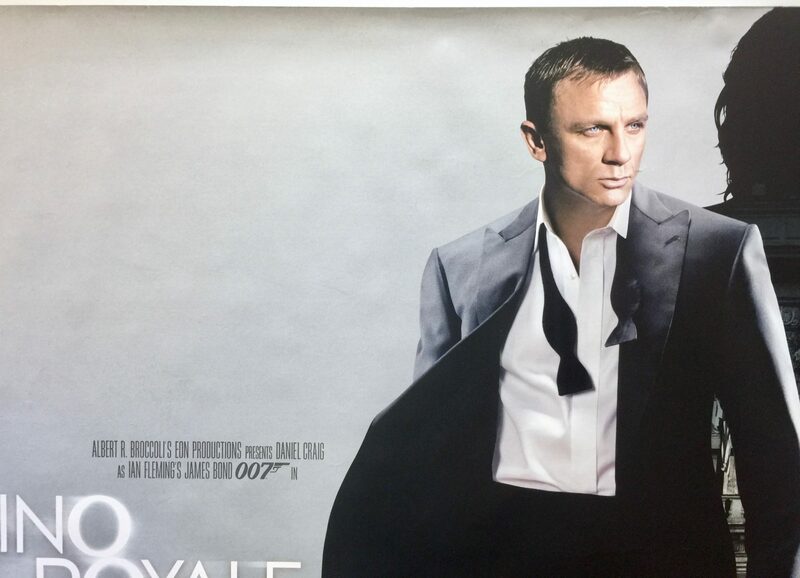 When the film was released it received positive reviews from the critics, with particular praise direct to Daniel Craig’s performance and credibility. 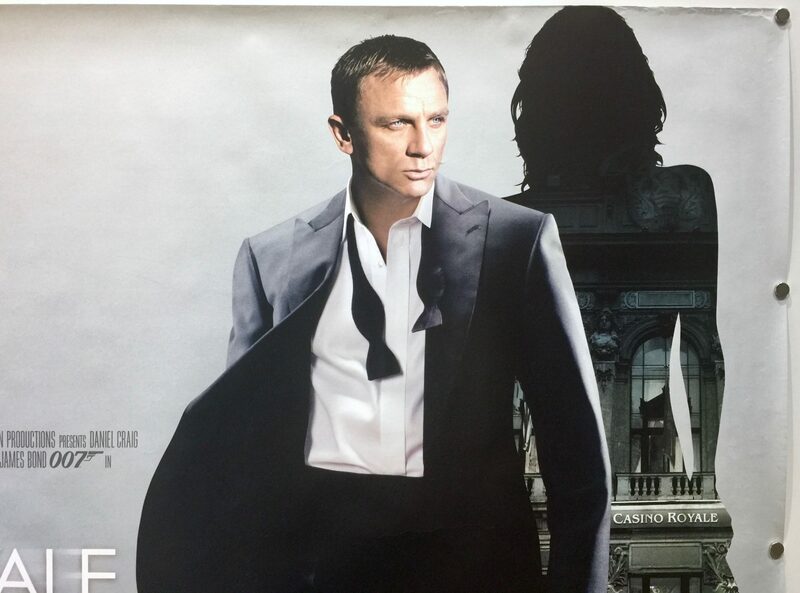 Previous to the film’s release he was the subject of debate by the media and the public, as he did not appear to fit Ian Fleming’s original portrait of the character as tall, dark and suave. 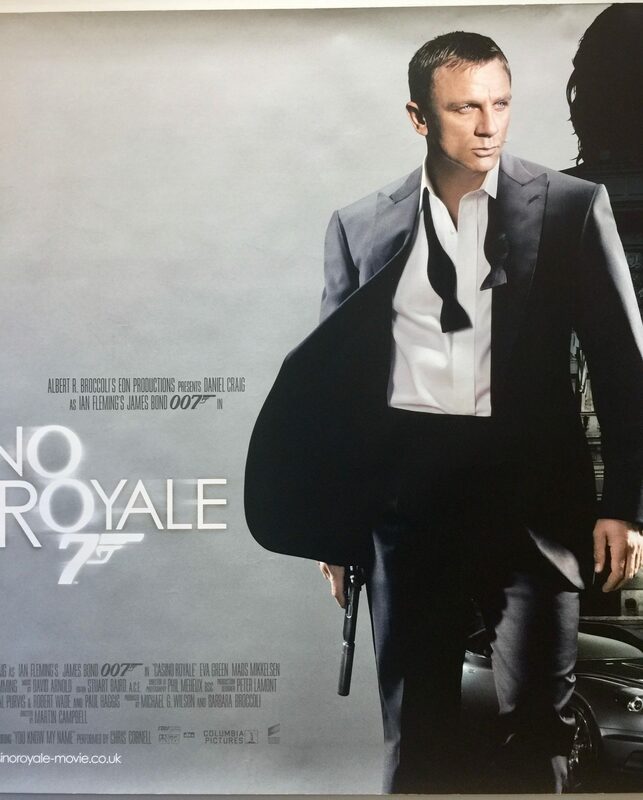 Commercially, Casino Royale was a huge box office success. Having been produced with an estimated production budget of $150m, it took $40,833,156 at the US box office in its opening weekend and has taken $599,045,960 in total worldwide box office receipts.